Unwind with your favorite “Frozen Island OASIS” Cocktails including non-alcoholic kids drinks and Fruit Smoothies. 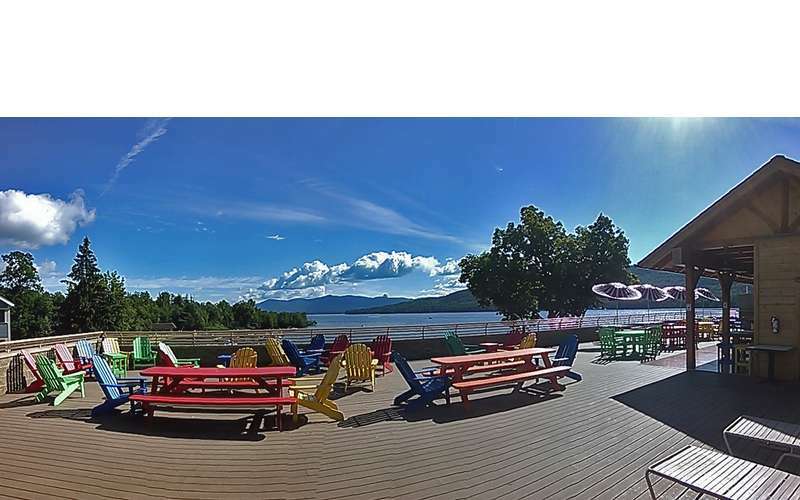 Enjoy Panoramic Views that stretch before you overlooking Lake George and the foothills of the Adirondack Mountains. 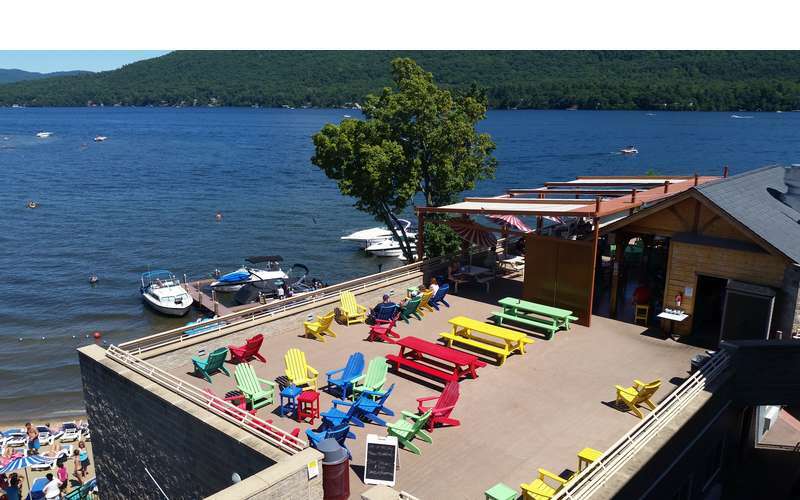 What a great way to enjoy Lake George! 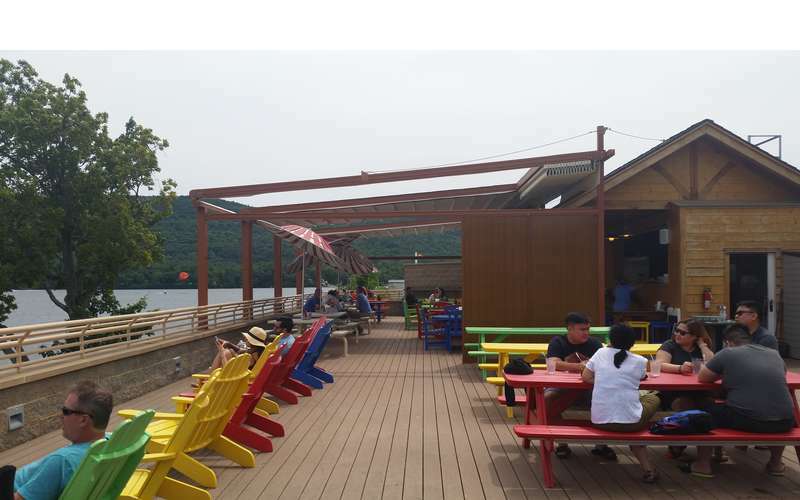 A NEW Retractable Roof now allows lakeside dining in all weather! 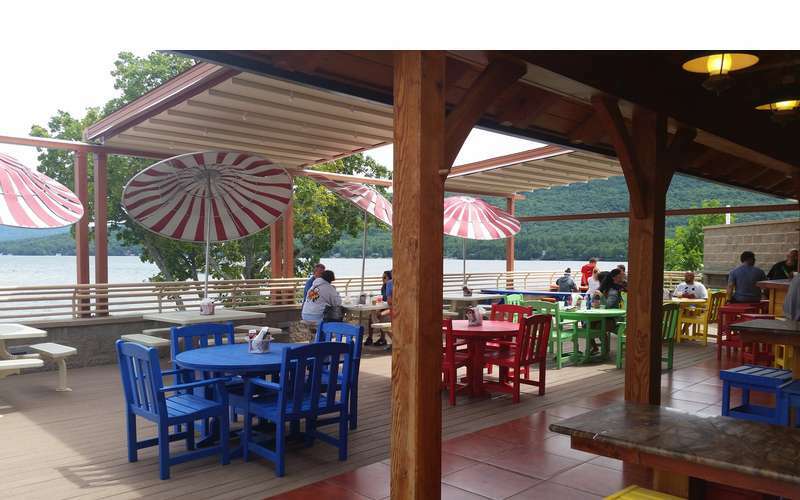 The restaurant is open in season (Memorial Day Weekend - Labor Day) from Noon - 8:00pm.